Gratitude is the quality of being thankful and showing appreciation. So ask yourself this… How often do you show your gratitude to your friends, your family, and your spouse? Think about a relationship, a close relationship, like your spouse. Both men and women want to be acknowledged for the hard work they do in relationships. Especially the repetitive tasks and the small things because much of it is nearly invisible. 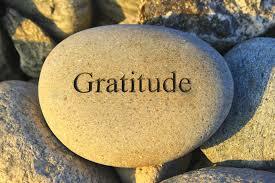 Having an attitude of gratitude is its own form of abundance. The more you are grateful the more you have to be grateful for. I’m sure you’ve heard the old adage, “You find what you’re looking for.” Well, that’s certainly true in relationships. If you are always looking for something to be grateful for in your relationships then you will surely find it. What if someone consistently offers you gratitude? Wouldn’t that motivate you to consistently offer your best, to continue putting in hard work in the relationship? How would your work relationships be different if your boss expressed gratitude for you doing your job, if your coworkers expressed gratitude for you handling the difficult client? How would your dating life be different if you expressed gratitude for your significant other for being chivalrous, for honoring you, for taking their call/text when you now they are busy? 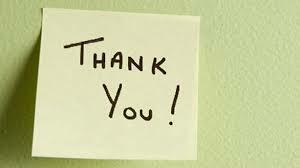 How would your long term relationship be different if you thanked your wife for cooking and doing the dishes? If you thanked your husband for taking out the trash. How about, how would your relationship with your children be different if you thanked them for doing the chores they are assigned to do. Answer. You’d have more deeply intimate relationships, more respect, and a desire to do more for the other person. You find what you’re looking for. Either find things to be grateful for and you’ll find tons, or find things to complain about and you’ll have a never ending list. When you don’t express gratitude, what do you think happens? You cheat yourself out of the joy of receiving. No one wants to continuously give to someone that isn’t grateful or is a taker. Have you ever thought about keeping a gratitude journal? Try our complimentary download for 30 days and see how your life changes. JoyWork Suggestion: Catch your spouse doing something like emptying the trash, doing the dishes, changing a light bulb, and offer them gratitude. Do it every day, three times per day, and watch your spouse blossom. Let me know how your doing on the Accelerated JoyWorks Facebook page. Leave me a comment below if you have any thoughts or questions. You can also let me know if you have a subject you’d like me to address in the next article. Feel free to share this article with your friends and family or anyone whom you think might benefit. This entry was posted in Gratitude and tagged Communication, Connection, Emotional Intimacy, Gratitude, Well-being. Bookmark the permalink. The last thing I say in prayer every night…is “thank you for all you have given me; home, food, the material means by which to exist, and mostly my dear family and friends.” It helps me to sleep deeply. What a wonderful way to show gratitude and maintain an attitude of continuous gratitude. love love loved this post! I actually wrote a similar one! great read- thanks for this. I am all about self-care and mindset work, so I love this!!! I often forget to show gratitude unless I’m focusing specifically on it, but it DOES improve relationships! A ton!! I love your suggestion of the gratitude journal. I need to be more consistent about writing in mine! I’m so glad that you enjoyed the article. I’d love to hear how your gratitude practice goes! This is such a wonderful post, I can read forever on this subject! Being thankful is so good for one’s health too! Thank you, terrific post! So glad you like it! And you’re certainly right about the connection between gratitude and good health. It feels good to be appreciated. A great read indeed. Thanks for sharing. Yes, indeed. Feeling appreciated helps keep you motivated in your relationships. love this! gratitude is so important and the world could stand for some more of it. gratitude is what lacks in most of the workplaces, it is, in fact, the most important key to bring joy and inspire collegues not only in the workplace but every where. Yes, exactly. I coach many people regarding their work place colleague relationships and often the complaint I hear is that their work isn’t appreciated enough. Such a strong article! Loved it. So glad you enjoyed it, Claire. balanced inner thoughts are so important for a happy life.